What do we mean by prayer? I believe the vast majority of Christians would say, "Prayer is asking things from God." But surely prayer is much more than merely getting God to run our errands for us. The word prayer really means "a wish directed toward," that is, toward God. All that true prayer seeks is God Himself, for with Him we get all we need. Prayer is simply "the turning of the soul to God." David described it as the lifting up of the soul to God. "To you, O LORD, I lift up my soul" (Psalm 25:1). What a description that is! When we lift up our souls to God in prayer, it gives God an opportunity to do what He will in us and with us. It is putting ourselves at God's disposal. God is always on our side, but we are not always on His side. When man prays, it is God's opportunity. Our Father understands the pressure we're under - how busy we are, and how many demands are placed upon us. That's why He's given us the gift of prayer, to help us learn to practice His presence. True prayer Involves turning your soul toward God with a thirst to know Him. Its fruits are a better relationship with Him, and a clearer grasp of your place In His plan. 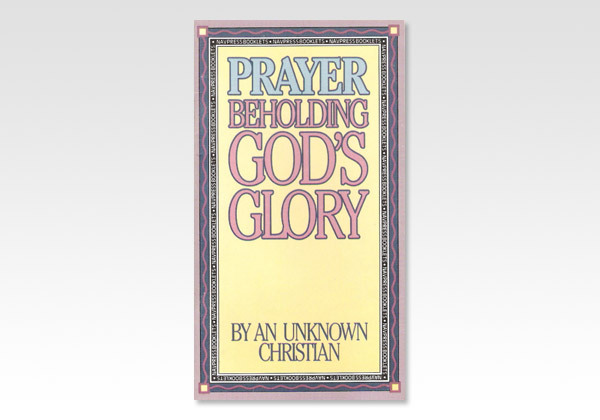 In this unique little booklet, you'll discover what It means to place yourself In God's presence, and to praise Him for His goodness, glory, and grace.